Wow. 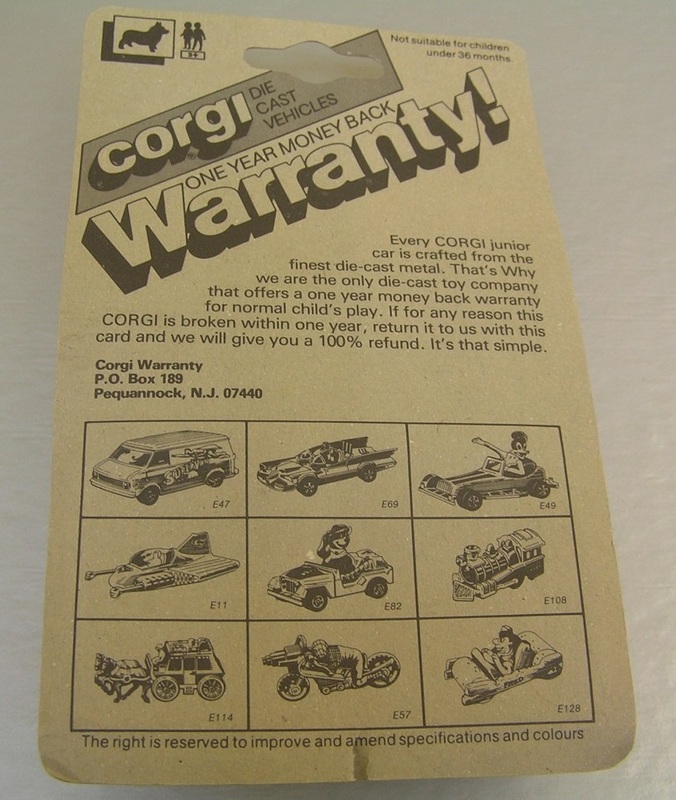 I’ve never seen toy blister card packaging that had such a huge declaration of a 1-year money back warranty. That’s awesome that they’re so confident of their craftsmanship and stand behind it 100% (rightfully so, Corgi toys rule). 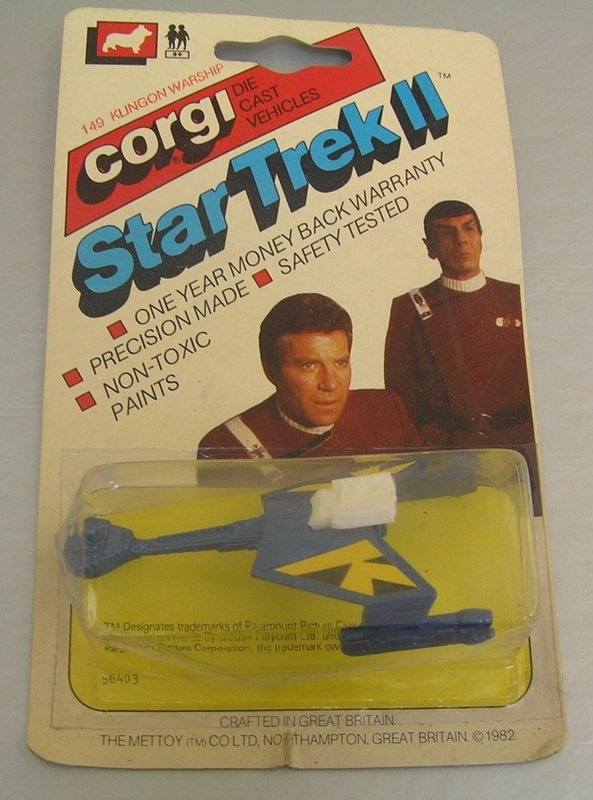 It’s too bad we don’t see that level of customer assurance in today’s toys…at least not from what I’ve noticed. Ah. Didn’t notice that detail about the “crafting.” Good catch. Yup, Corgi really was all that. Am I the only one who thinks this is weak? Why is the ship blue? And yellow? I’m sure the craftsmanship was excellent, but I’m not a fan. Yeah, it’s not the best Corgi candidate out there, but the name itself was enough to spark discussion, lol. Hold up. Sudden revelation. There were no Klingons on Star Trek II. That ship is from Star Trek III. Wrath of Khan was a stolen starfleet ship. What the hell is going on here? Now that is a good point. Not one Bird of Prey in Wrath of Khan. And Star Trek III didn’t come out until 1984. Is it from the Kobayashi Maru? If so, I’m still not a fan of a ship from a simulation, although I may have to concede the point of a theoretical Klingon ship. Ah, this is great. I feel like I’m at a lunch table in junior high. We’re guys. We’ll always be at a lunch table in junior high.